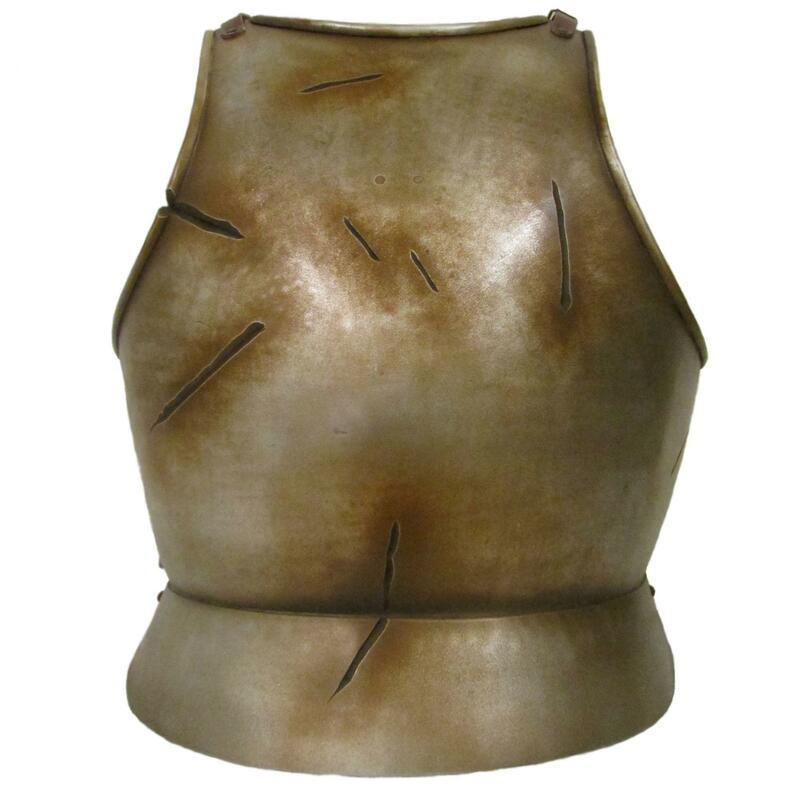 Pic 4,5,6 show rusty steel with "battle scarred" finish (available on request). 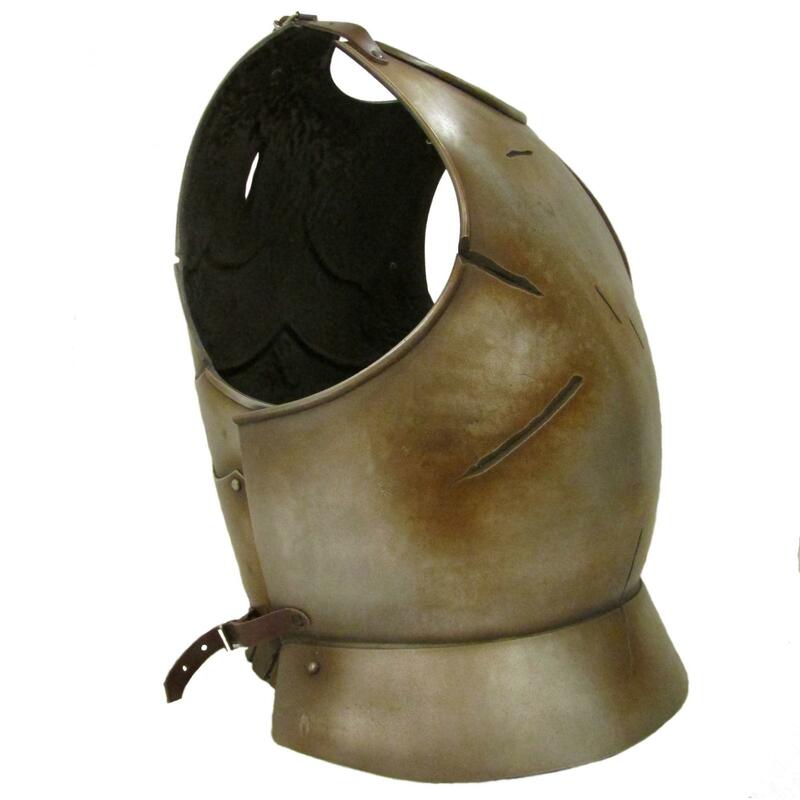 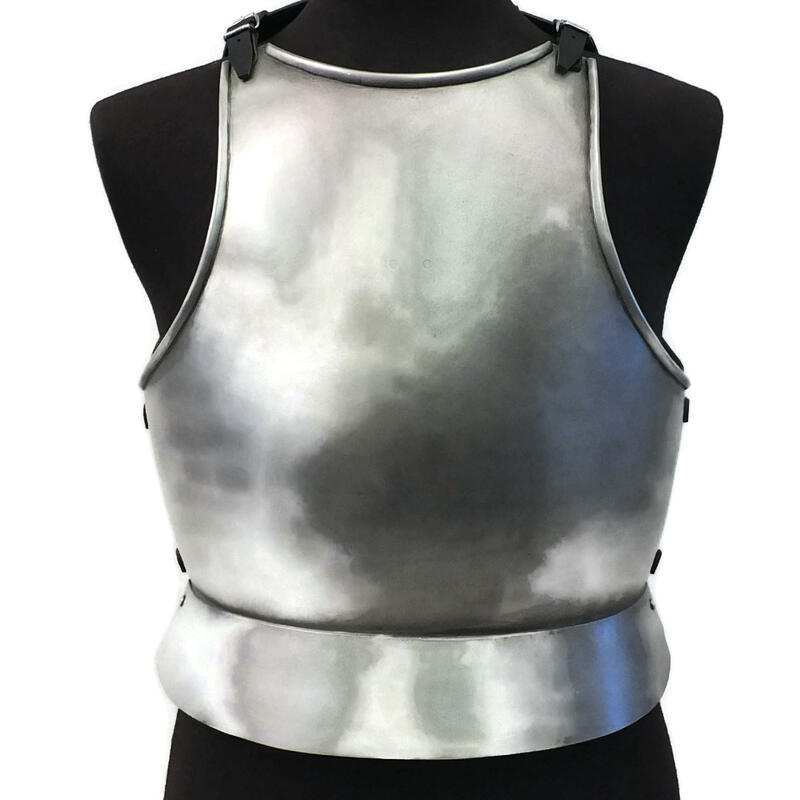 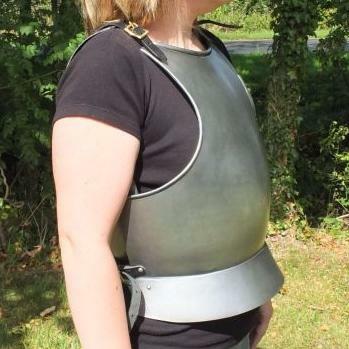 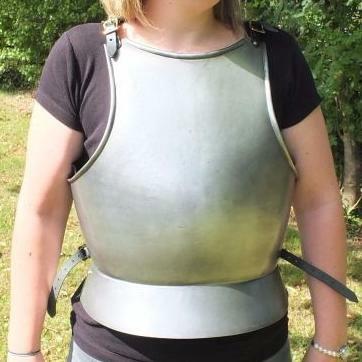 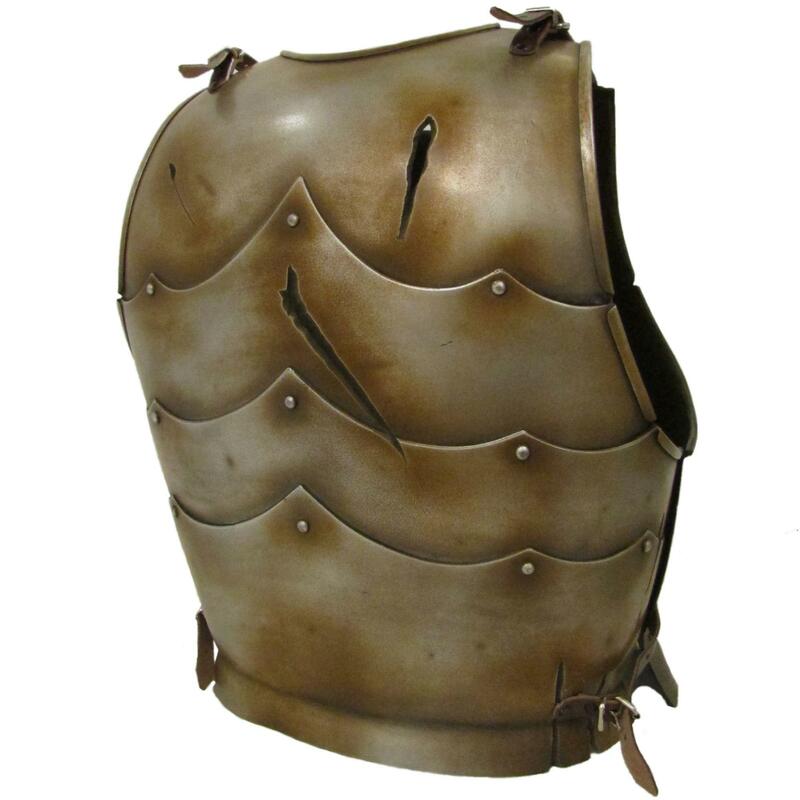 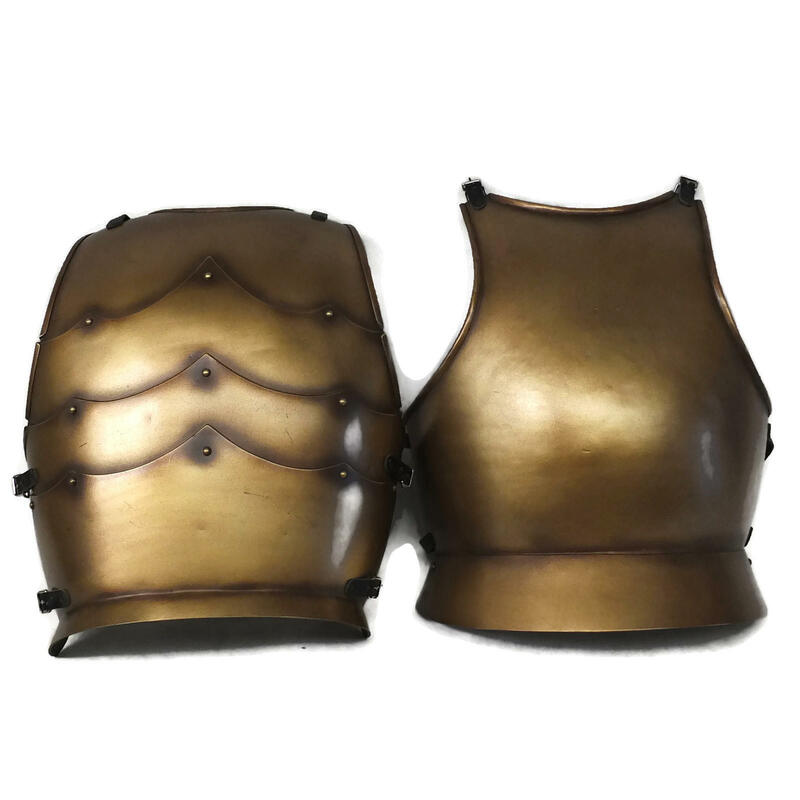 A medieval style cuirass with plain breastplate and decorative backplate. 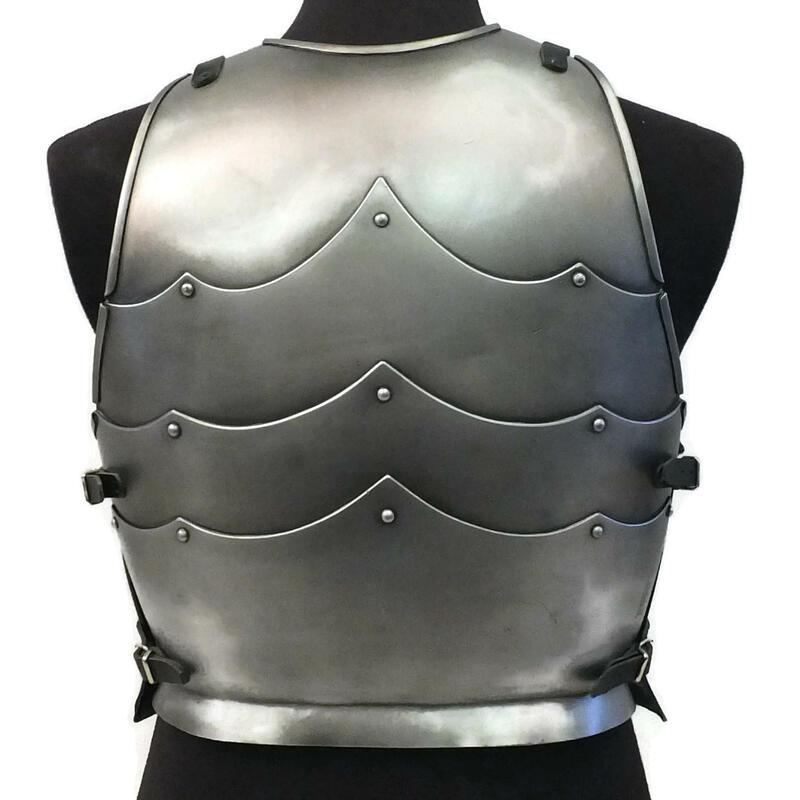 A good style for smaller people but will also comfortably fit a UK male medium size. 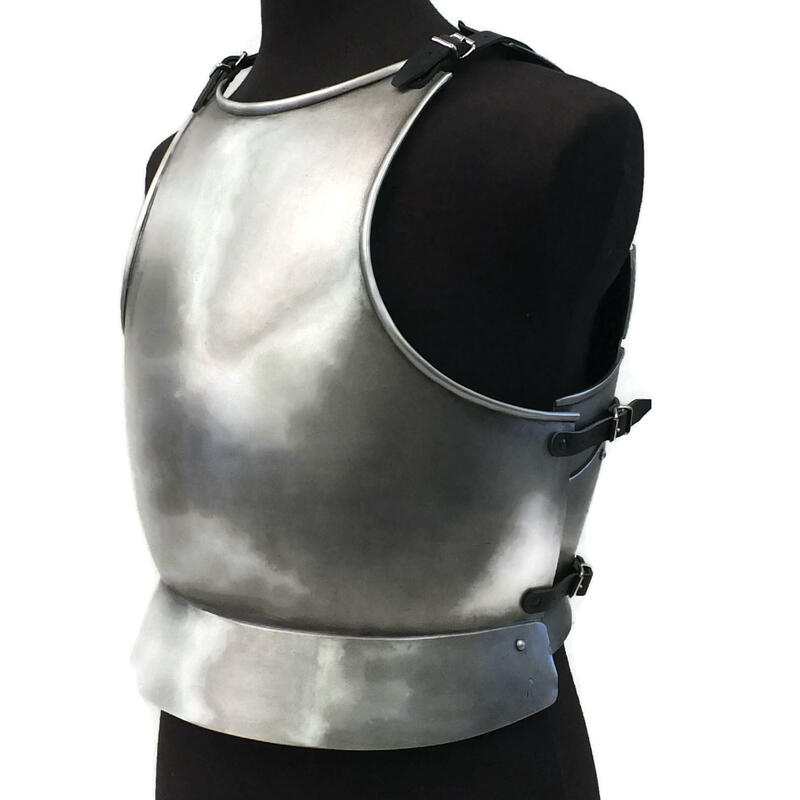 This is for the armour to meet at the sides -however the straps will allow for expansion of up to 4" and a reduction of 3". 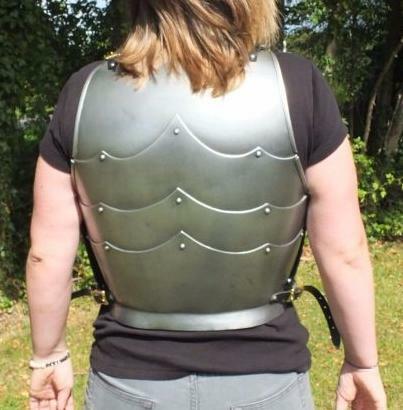 Measurement from centre of neckline to bottom of breastplate - 16½".